Protect our seeds for a better future! Creation of an alternative community centred in the conservation of local varieties. 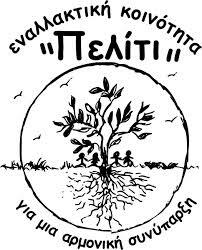 Costas Tsigos is an active member of the local group of Peratia village. Our meeting took place in the garden of the organization in Peratia on 24th of May on a sunny Saturday. Marilyne: Costas why did you choose the organic agriculture? Costas Tsigos: I come from the countryside close to Athens (20km). My parents and grandparents were farmers but they were practicing conventional farming. They used to use chemical products in their garden against parasite. They know as well the traditional and non-chemical way of growing vegetables and fruits so they teach me the way how to collect and conserve the seeds and do traditional farming. I decided to become an organic farmer to be in harmony with the nature and I set my main goal which is to be self-efficient in feeding my family. 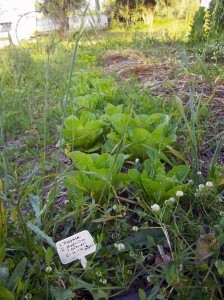 In Greece to be an organic food producer is not easy, the government doesn`t help us much, but we are trying our best. I can say that I succeed, I have my own farm with a surface of 2 ha where I am producing vegetables and vegetables which are on the way of disappearance, olive oil, leguminous plants, eggs etc. M: Why did you decide to join Peliti organization? C: I joined Peliti organisation because of the network of people with whom I can share same ideas of the organic agriculture. In this group I am feeling like a real family member. Thanks to the spirit: we are speaking the same language! Our philosophy is based on the non-conventional agriculture which means without use of any chemical products. Through this organization we are encouraging the concept of self-efficiency and the protection of the vegetables’ varieties. M: Could you tell me more about your local group action? C: So now, I am an active member of the local group in Peratia. Our office is situated in a local school, where our regularly meetings takes place. – Creation of a garden where the idea is to product and conserve seeds. This garden is opened for everyone, anybody can come to learn and help to plant seeds and to take as well. The garden has a pedagogical purpose as well, for this reason schools are invited regularly to take part in their activities (gardening training for adults and youth).The goal of this garden is the production of seeds. – Workshop every Saturday afternoon like how to collect seeds… – Information activities hold in school: inform children about seeds, GMO, ecology, organic etc. … and to involve them. – Manage various actions about bio-diversity. – Seed bank: we have our own seed bank with around 20 different types and varieties of vegetables (ex. 4 varieties of tomatoes, 2 varieties of zucchini, etc. …)- Organize seminaries about permaculture, seeds… – Exchange of seeds without money on different events and festivals. M: When the collection and the exchanges of seeds are organized? C: Every year we are collecting the seeds form May until September. So we can start to exchange the seeds from September till April. 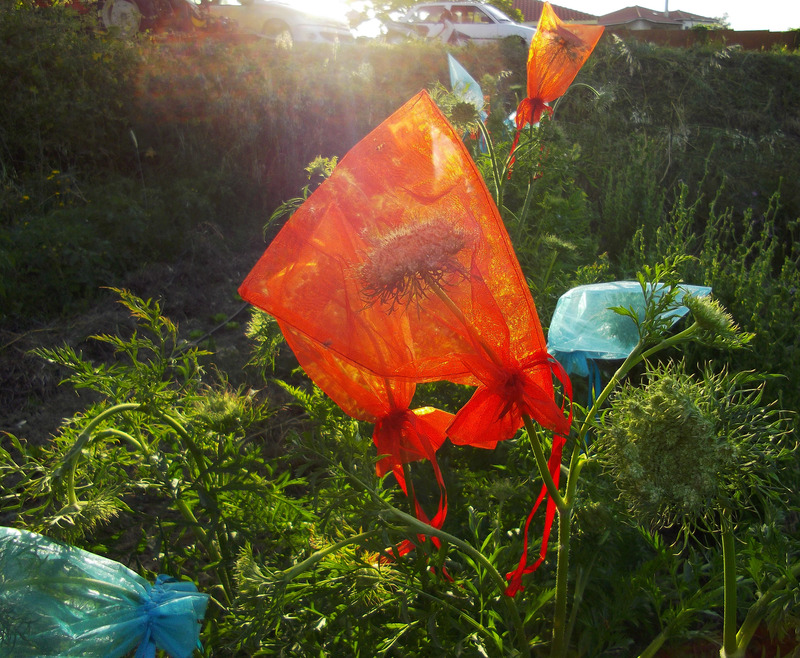 Once per year the local group of Peratia organize a day of seeds exchange without money. This year it took place in Peratia school in 13th of April. In the rest of the year we try to have permanent stand in order to promote our organization and the events. This entry was posted in Local, Theory. Bookmark the permalink. 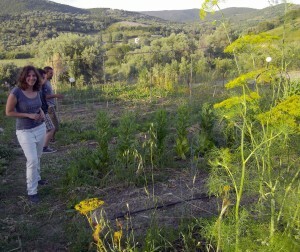 Thank you Marilyne to show us that organic agriculture already exists in Greece. It’s very important to save the seeds.